We are a 4 members family. Love God, nature and simple life. Love living in the farm. Our team is bigger, you will interact with around 6 more people everyday in the farm, they all have a great knowledge in many areas and are very much fun. We sell the fruits we grow, we welcome some tourists on weekends (they can walk a path to visit the farm and then have homemade lunch), we also sell artisanal products that we prepare at home. Our home is a paradise as we see it, you wont probably want to leave! The food is one of the most amazing parts, fresh fruit from our plants like 3 kinds of pitahaya, 5 kinds of oranges, pomelo, toronja, mandarin, lemon, cashew (marañon), zapote, banana, plantain, yuca, corn, pumkin, sweet potato, cacao (we make our own chocolate! ), between many others are part of our daily life meals. We love creativity in people so be free to have it here! 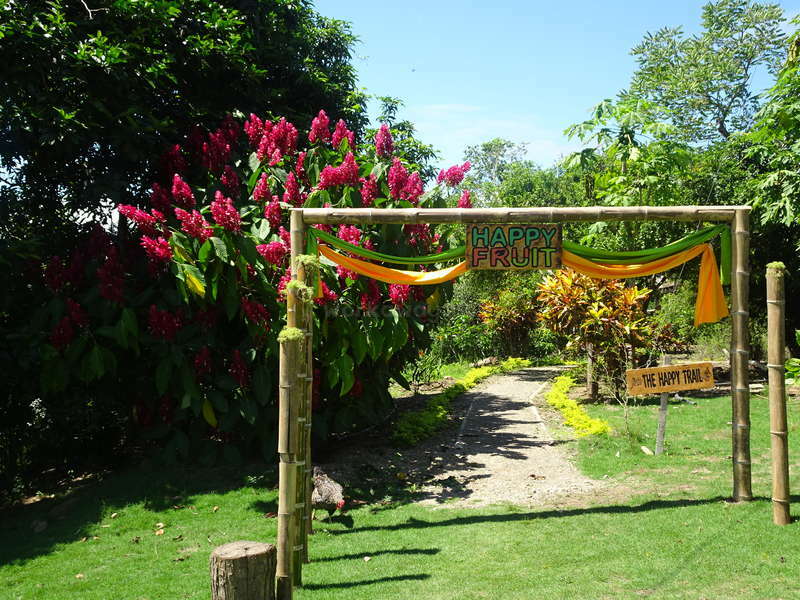 We are also owners of a tour operator (Allsur) that offers ecotourism in the region El Oro where we live. We would be delighted that you help us to develop the activity ! You can learn of a life experiencie in agroecology (in other countries more known as permaculture). In agriculture (the agroecological kind of managing a farm, but also understand about organic and tradicional). In transformation of food we make it the organic way (dryfruit and another meals, we try to use and eat most of our food from the farm / moringa powder / veggie burgers / free to try and experiment) and ecotourism (learn about how we are managing tourism), projects (we need people to help us creating in every area), in the house (we have two kids and a close school, we love to have some help in the teaching area). In general we believe in a sustainable tipe of developing so the whole experience involves a social and environmental compromise, plus sustainable economical activities, we believe this will let us leave the would same and hope better we found it! This is a 17 hectares family farm. It has around 100 kinds of fruit and herbs, plus 7 hectares of forest. Is located in Arenillas, in the site Santa Marianita. 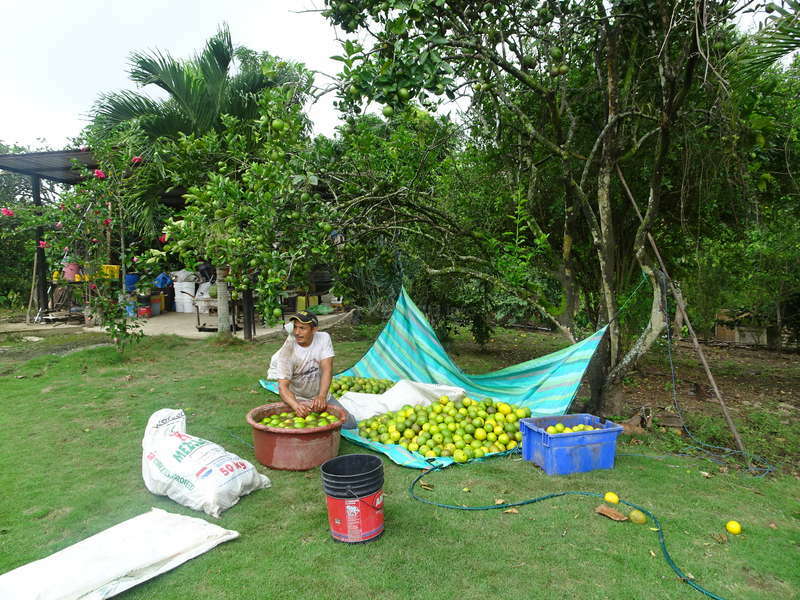 Here we work in organic farming, ecotourism, and tranformation of fruits, specially drying them. We want you to be part of the team and the family for the time you are here, and join us in the area you would like to help depending on your skills. NOTE: We have a social work going English School, were we teach kids from 3 to 11 years old English. If you like to be part of this project it is an alternative for volunteers in the farm, becouse we have open classes in the farm. Private room with share bathroom and shower. We eat most of meals together as a family! It is very important to us that you take part of our family daily life. Usually we mostly eat vegetarian, healthy food with the more natural ingredients as possible! But we can accomodate all types of diets. We are located in the panamericana road in the site of Santa Marianita where is the Arenillas river, we also have a river arm ¨El Toro¨in the farm, only 5 minutes away in car to Arenillas town and 30 minutes taking a nice walk, in the provincia of El Oro, were is around 40 really interesting sites to visit (we can help you with that). We are 15 minutes away from the local airpot in Santa Rosa and 45 minutes from Aguasverdes in Peru (1hour and 15 minutes from the airport of Tumbes in Perú). Tree hours aways from the main coastal city of Guayaquil and 3 hours also from Cuenca. We like the volunter kind of work becouse is a great oportunity to exchange knowledge and life experiences, is really fun to have new energy in the house. Blaque is an amazing person. Sweet, fun, relax, and hardwork. She effort a lot and gave her best in the happy school - ¡kids love Blaque! They were very motivate to learn! She is also nice to talk to and very respectful! This finca is a paradise! It was so amazing becoming part of the family. The worst part of my month there was when I had to leave. I spent my time helping with things around the house, watching the kids and teaching English to the children of the community. I felt so at home at the farm and in the town. This opportunity is for anyone who has a… read more love for health, nature, family, and the environment. Delicious food, a pool and river, and love are always available. Don’t miss your opportunity to fall in love with this project. Thanks for everything!! me and vanessa volunteered at finca with tanja,jorge and we had such an amazing experience.we still talking about the food and the whole atmosphere at the farm:)we felt like a family right away.it s an amazing place with lots of organic food and charmful people.work didnt feel like work because we enjoyed what we did.it s basicly helping them with… read more the basic tasks of the day and teaching english if you can.the location of the farm is awesome as well.to be honest we we had our best workaway experience at this place and we definitely recommend it if you are in arenillas. I had amazing 2 weeks at Tanyas and Jorges farm. Both are super welcoming, generous and open minded and i felt truely at home. 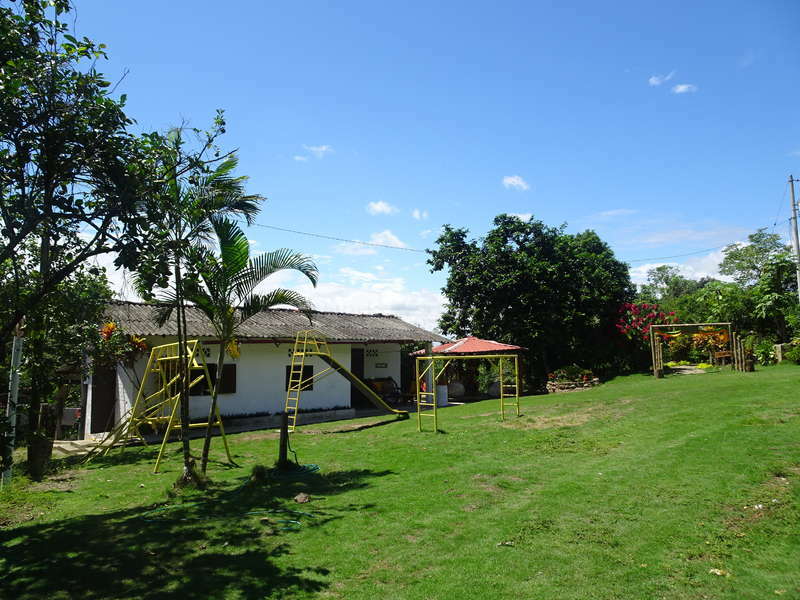 The Farm is huge and my privat room in the cabañas was surrounded by the fruit trees. Mostly i was all day together with the family. Worked, ate and played with the kids, who had a lot of energy. My main task was taking… read more pictures of the finca, the products, birds and the daily life at the farm for promoting there project. It was a lot of fun and Tanya has so many ideas, that the work was very creative and did not felt like "work". All in all i can say, that this family really lifes there motto of a happy life! En encontramos exactamente eso y más. Encontramos jornadas de labor entre risas y mucho aprendisaje; encontramos una familia dispuesta y feliz de mostrarnos, a traves de sus procesos de conexion con la tierra, su sabiduria. Dispuesta, en cualquier momento y a la primera oportunidad; aún en sus tareas más nuevas, a brindarnos esa ventana, en la… read more que transmitian sin restrincción sus conocimientos. Esa misma ventana que nos brindaron cada mañana para despertar y ver la copa de los arboles que los rodean a diaro. Esa misma ventana, desde la que podiamos ver aves muy interesantes, melodiosas y coloridas, descubrirlas en su naturalidad y aun más cerquita. Para luego encontrarnos con grandiosas bienvenidas, en cada rostro presente descubriamos un, - ¡feliz mañana! entre una mezcla cultural enriquecida de paises, ciudades y edades. Fue para nosotros, un total disfrute, ese que de un sacudon nos dejaba entre juegos, relatos y peticiones; llenos de energía, justo para prepararnos más y mejor para las siguientes clases. Antonio and Alexandra are great people! Super profesional in everything they help us with.. from designing, some publicity work, school teachers, and other activities! Very generous in sharing them knowledge and hard work people- also lovely, nice to talk and be around! love to have had you at homme, we miss you and love you guys! Thak you for… read more everything! Juliane is super sweet, cool person to be around, cooks amazing meals and have a very good estetic sense. The food is a dream and I was free to cook as well making use of the vegetables and fruits that grow in the farm. 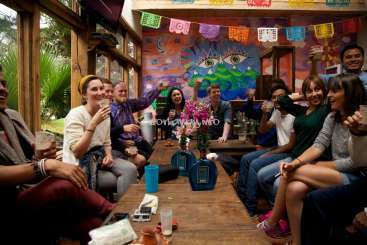 Both are generous and eager to make you feel well, that also means… read more giving tips to explore the surroundings and helping arrange the trips. Since Tanya was occupied a lot with their baby we did not spent much time togehter in the evenings. I used to read in the cabin because there is no wifi or watch a movie in the hammock outside their House. There is not a lot to do in Arenillas at night. Work was relaxed and I could schedule my day on my own. My main task was rearranging their sales materials and come up with english versions. Thank you a lot for the wonderful time! Leonie and Tom were super sweet people! Really polite and kind.. Had a wonderful energy and super respecful. Selfmotivated and responsable about them job. Thank you very much for your time and work! We stayed at the Farm for 4 weeks helping around the farm and giving English lessons to the children. First of all thank you very much for letting us be part of your daily life, routines and family! We learned much about different fruits and about the Ecuadorian way of cooking. 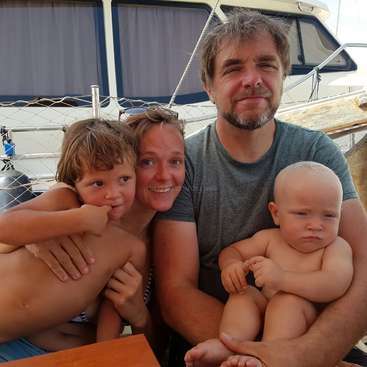 Even though Tanya had her baby right the first week we have been… read more there, we always felt welcome and we always could talk to Jorge or Tanya. They also had many ideas about what to do at the weekend. Farming also included working with the employees: they have been really nice, fun and hardworking people. It was a pleasure working with them. The children of the English school have been really sweet - it was always fun to give class! All in all: a great experience - thank you Tanya and Jorge! 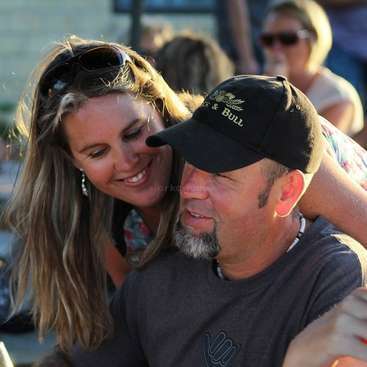 Kai & Marion are a couple that loves natures and understand it!. They look and search around the farm and after they gave us and the kids biology classes about it. We really aprecciate that becouse help us to have a greater understanding of our agroecological model of work and of the vegetarian diet. They are people that love investigating and… read more have a real compromise with conservation and healthy eating, and are very open to teach what they know. We also like they have a really calm energy. Oh! and Kai makes a super yummy bread, tortillas, and cookies!!. Iñaki y Maribel fueron maravillosos! Se unificaron al equipo de trabajo de manera magistral. Todos realmente pudimos sentir su colaboración que fue muy multifacetica: desde cuidar a los niños, enseñarnos yoga, colaborar en cocina, ayudarnos servicio de biocatering, arreglar un estante, hacer letreros y además vendedores en una feria artesanal.… read more Super colaboradores, excelente energía muy motivados y alegres! Toda la familia les extrañará mucho y estamos super agradecidos por su increíble colaboración!. Well, what can we say about this beautiful, happy family? Words can’t describe the wonderful experience. The food is delicious, the farm is lush and Tanya and Jorge are the most generous, welcoming, hard-working, fun and inspirational hosts anyone can imagine. They immediately opened their door to us making us part of the Family. They’re always… read more open to new ideas, they take the time from their busy lives to sit and discuss the work and projects and we really felt we were part of it all. 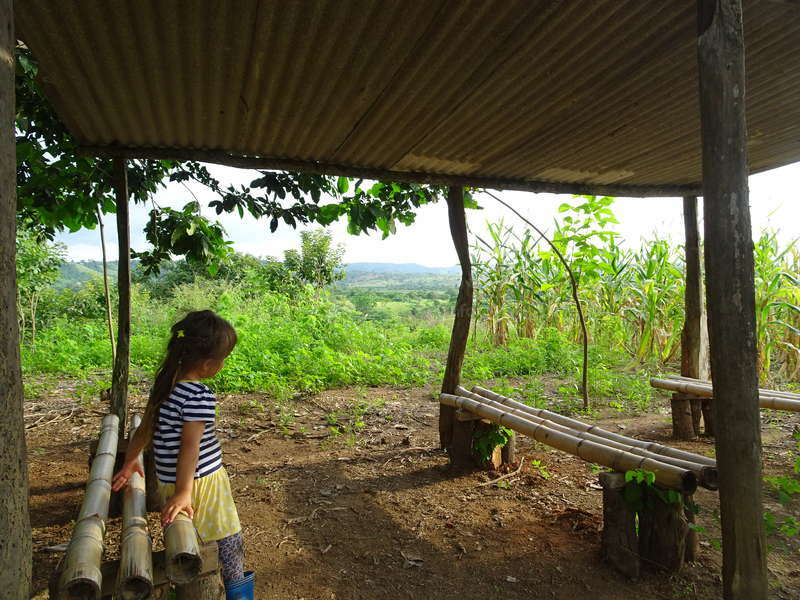 Their agroecological farm and English School are very exciting and part of a wider and beautiful vision that encompasses a sustainable business with a social and environmental impact in the area. It was a real pleasure to spend time with them and of course with all the kids... they’re a lovely, lively bunch! If you’re looking for an inspirational experience where you can get fully involved, you cannot miss out! We arrived as workawayers and we left as friends. Thanks guys for this unforgettable time! All our love to Tanya, Jorge, Isabella, Lucas and the new baby. Vero and Enrique are simpli amazing!! They were here for 4 weeks, help us as the school teachers, were they did an amazing work from preparing, teaching (kids improve a lot them comunication skills and love them), to help us improving the organization of the school program in many ways. They also help us in digital marketing with great design,… read more social media plan, and also make a video for the farm!! how they did all this, well.. they are hard workers but also so funny; we were laughting all the time with them!.. And if that is not enough they help us a lot in the kitchen, Vero is great making panquekes and bread, and Enrique cleansing everything..
We are very thankful we had the opportunity of sharing some time of our lifes with them, love them and keep them in our hearts. I worked here for 5 weeks as the first English School Teacher and I helped out with some small choirs around the house and farm. Tanya and Jorge are really good people and they are trying to make their community better with the free English School and they are creating a sustainable dried fruit operation employing local people. The climate is… read more rather hot and you can walk the back road to town (safe) in thirty minutes or hike around the farm. This is a good opportunity for anyone! Dan was an amazing volunteer! We love this man, he was super helpful and independent, he did a great job as our first teacher. We are really thankful we had him at home. Christie and Josh were amazing. Super helpful, creative, artistic, great cooks, lovely and profesional teachers, and also help in website and photos for the farm. Just great to have had them home. Definily recommend them, you will be blessed by having them around. Charlie and Manon were really nice people, quick helpers and cook really good meals!! Thank you for all your help!! We stayed only 2 weeks, but it was amazing ! The family is very adorable and generous, really cool to share their knowledges about fruits and about the equatorian culture. The place is very quiet and nice to have a rest, the pool is perfect when it's hot after job. It's cool to cook with and for the family, Tanya made a perfect vegetable meat and… read more other typical meal!! If you are lucky, you will probably made an artisanal ice cream with the mother of Tanya, delicious !! Thanks a lot Jorge, Tanya, Isabella and Lucas for this experience. Nos quedamos 3 semanas y fue una experiencia maravillosa. Realmente fue el mejor voluntariado de todo nuestro viaje! 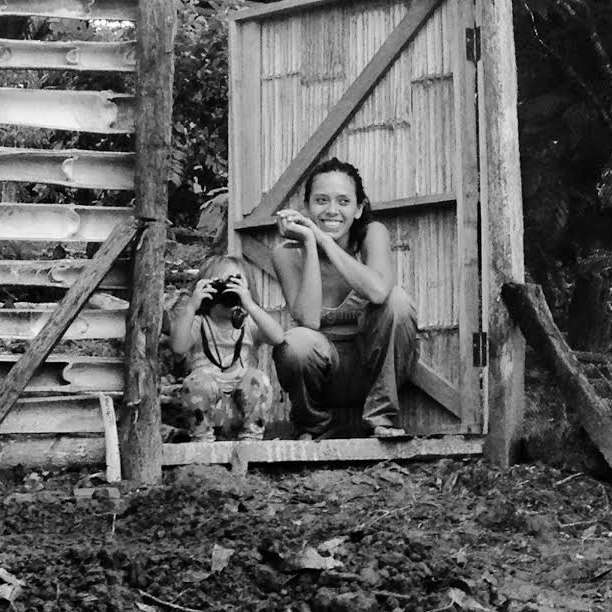 Nunca encontramos personas tan amables, generosas y felizes como Tanya y Jorge. Ellos conocen mucho sobre agroecologia, aves, y turismo en Ecuador. Aprendimos mucho gracias a ellos, y fuimos tratados como familia. La finca es un… read more paraiso, Tanya es una chef muy talentosa y comimos riquísimo todos los días. Ayudamos en la cocina, en el jardín, cuidamos los niños y trabajamos en la promoción : mejorando el sitio web, haciendo diseño gráfico y vídeos. El el tiempo libre fuimos todos juntos a conocer los sitios bonitos de la provincia de El Oro. 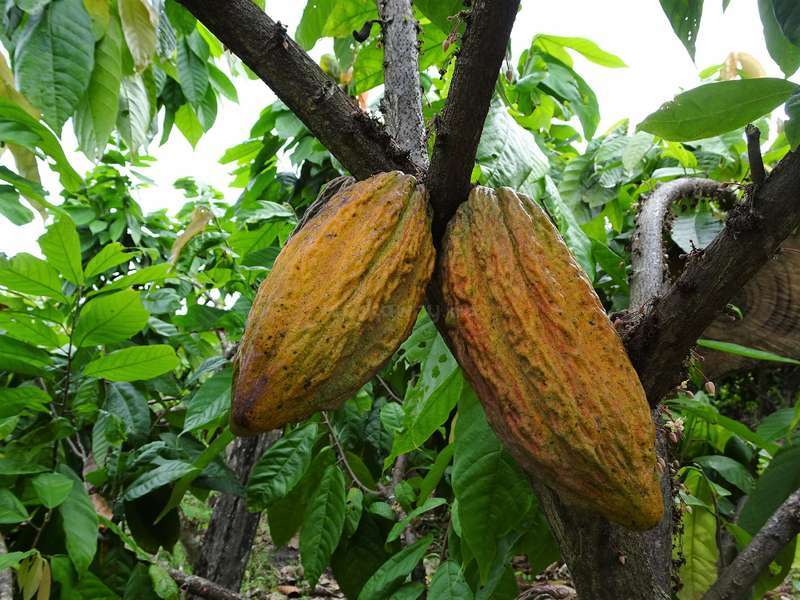 Ellos nos ensañaron también a cosechar, secar y preparar el cacao. 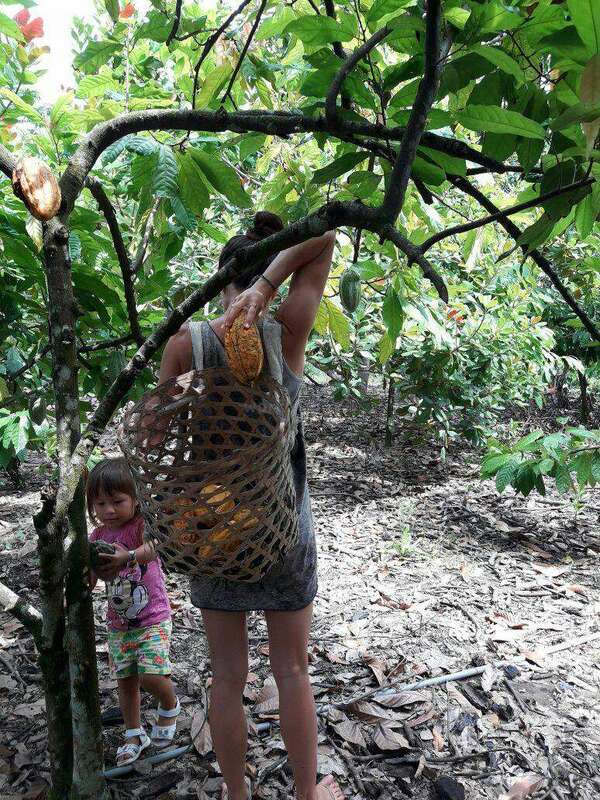 Salimos de la finca con nuestra propia pasta de cacao puro. Que delicia! Un abrazo grande a Tanya, Jorge, Lady, Isabella, Lucas, Magali, Don Angel y todas las lindas personas que encontramos allá. Ya los extrañamos! Amazing couple, just lovely!! Very friendly and sweet people.. and also very profesional. Nico help us with an amazing amount of very good pictures and make videos for the farm. Ambre hep us with the website and graphic design. They are really good in what they do and also passionate about it. They help us more than they should and really became… read more part of the family. Also bake very yummy cakes and were very respectful. We became good friends... thanks a lot for everything!! We stayed 1 month and half with this beautiful family. This farm is beautiful and huge, there are a lot of things to do and learn here. 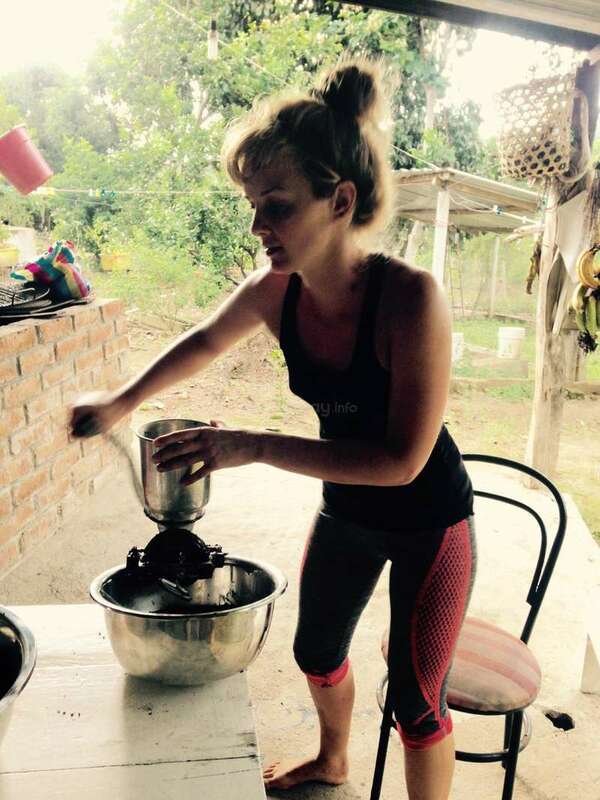 We harvested and made our own cacao/chocolate, tried a lot of new recipes and had all freedom to try new things in the kitchen. You can see a bunch of wild life, flora and fauna, swim in the river or in the pool… read more or rest on a hammock. This experience was one of the best of our 8 months journey throught South America. We love you Elina and Cedrik!. They were incredibly helpful, excellent actitude and became part of the family. Very proactive, great actitude in anyjob they had to do. As a host we feel really thankful for everything they did in the time we share together. Thank you very much. Los queremos mucho y recuerden que tienen una familia en Ecuador. Cedrick and I stayed a little over two weeks in this little paradise. The weather is hot in this part of Ecuador: we can always be outside! The family is great: we share all meals with Tanya, Jorge and their two children and with Leidi, who always cooks delicious meals. 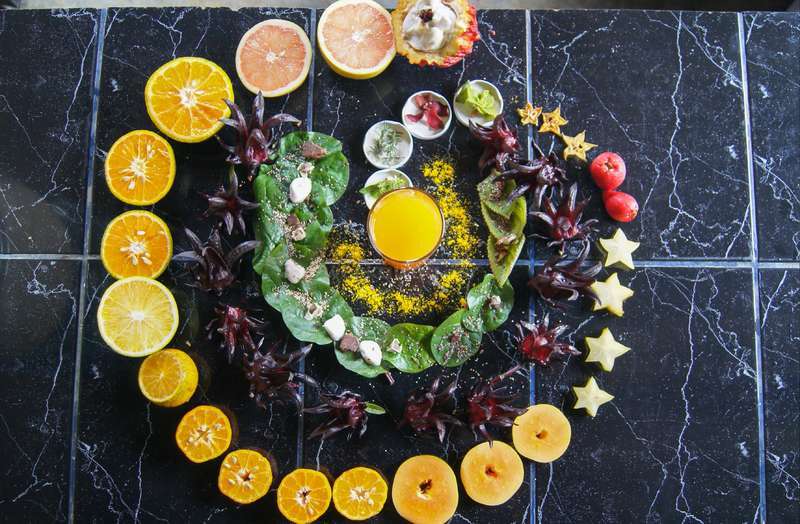 There are always fresh fruits from the farm, tea, natural juices, and food… read more changes every day. They are very open to creativity so I could try new recipes! 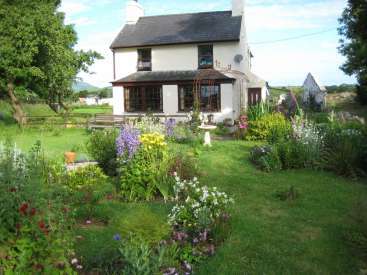 The room is in a cottage apart from the main house, with a bathroom and a shower nearby. It is comfortable and quiet. 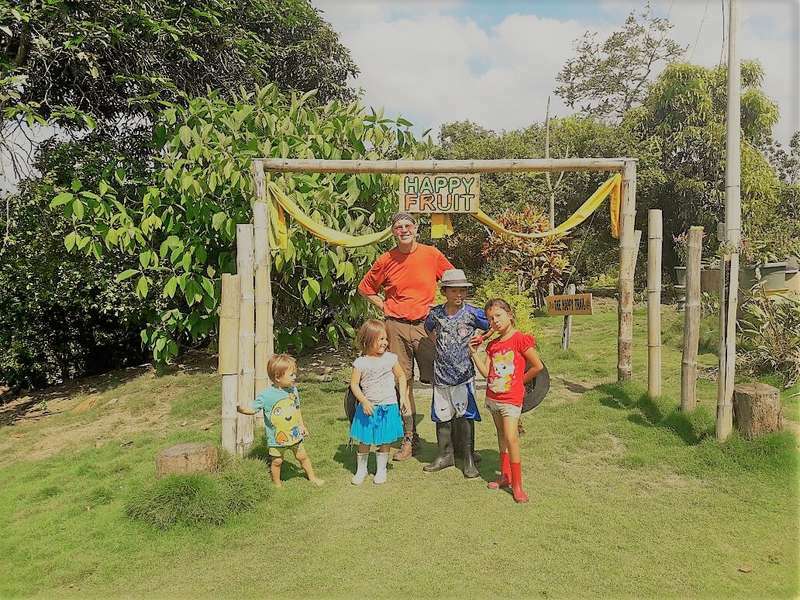 We helped with the website of the farm and the one of the travel agency, with social networks, with the design of documents for tourists, but also we harvested oranges and cacao, we planted seeds, we took care of the orchard, we cooked, etc! There are a lot of things to do, for all personalities. The best part is that we are like members of the family and that we really feel at home, there are very good waves in this place. We learned many things and enjoyed it a lot. We will never forget the incredible experience that we live here! We are going to miss you. A big hug to everyone. Cedrick y yo nos quedamos un poco mas de dos semanas en este pequeño paraiso. El clima es bien caliente en esta parte del Ecuador : siempre podemos estar afuera! La familia es genial : compartimos todas las comidas con Tanya, Jorge y sus dos niños y con Leidi, que siempre cocina cosas ricas. Siempre hay frutas frescas de la finca, té, jugos naturales, y la comida cambia todos los dias. Estan muy abiertos a la creatividad asi que pude intentar recetas nuevas ! La habitacion esta en una cabaña a parte de la casa principal, con un baño y una ducha cerca. Es comoda y tranquila. Ayudamos con el sitio web de la finca, y de la agencia de viaje tambien, con los redes sociales, el diseño de los documentos para los turistas, pero tambien cosechamos naranjas y cacao, sembramos plantas, nos ocupamos del huerto, cocinamos, etc! Hay un monton de cosas que hacer, para todas las personalidades. Lo mejor es que formamos parte de la familia y que nos sentimos como en casa, hay muy buenas ondas en este lugar. Aprendimos muchas cosas y disfrutamos mucho. Nunca olvidaremos la experiencia increible que vivimos en ! Les vamos a extrañar. Un abrazo grande a todos. Fue maravilloso tenerte en casa. Todos te recordamos con mucho cariño y recuerda que en tienes una familia en Ecuador. Eres una excelente colaboradora, con buena energía y le encanta la fruta y el chocolate. Se vió el fruto de su trabajo con un huerto muy chevere del cual ya mismo cosechamos curcuma y tengo muchas hierbas muy… read more deliciosas. Un abrazo, te queremos mucho. 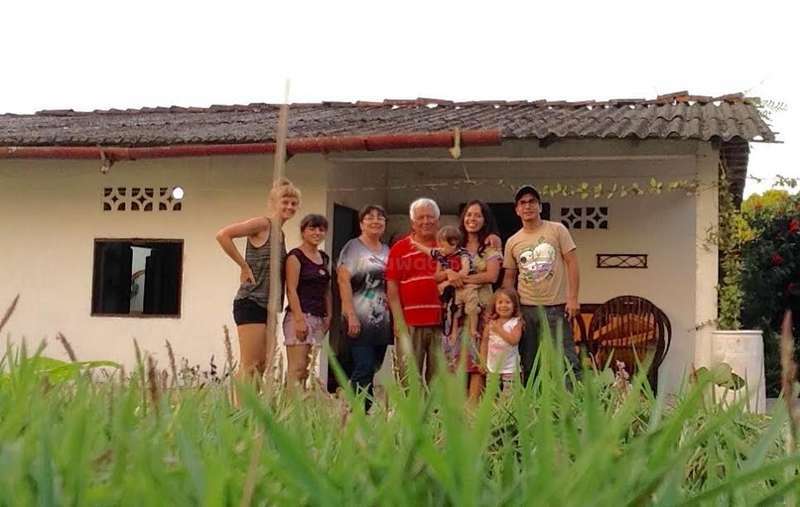 He encontrado esta familia via 'wwoofing' - no via workaway- y he estado 3 semanas a esta finca! Ademas he aprendido muchas cosas nuevas: cosechar mangos, dragonfruit, moringa, .. y he hecho mi propria chocolate!! Muchas gracias… read more por estas experiencias bonitas y para aprender muchas cosas nuevas! !